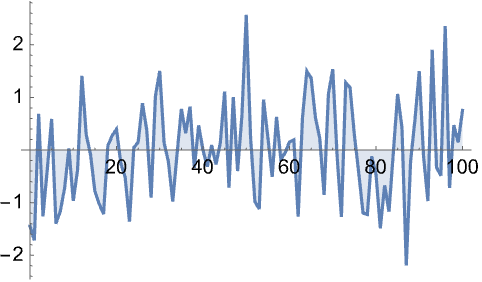 represents a fractional Gaussian noise process with drift μ, volatility σ, and Hurst index h.
represents a fractional Gaussian noise process with drift 0, volatility 1, and Hurst index h.
FractionalGaussianNoiseProcess is a continuous-time and continuous-state random process. FractionalGaussianNoiseProcess is a Gaussian process with mean function and covariance function . FractionalGaussianNoiseProcess[μ,σ,h] is equivalent to TransformedProcess[x[t+1]-x[t],xFractionalBrownianMotionProcess[μ,σ,h],t]. FractionalGaussianNoiseProcess allows μ to be any real number, σ to be any positive real number, and h to be a real number between 0 and 1. 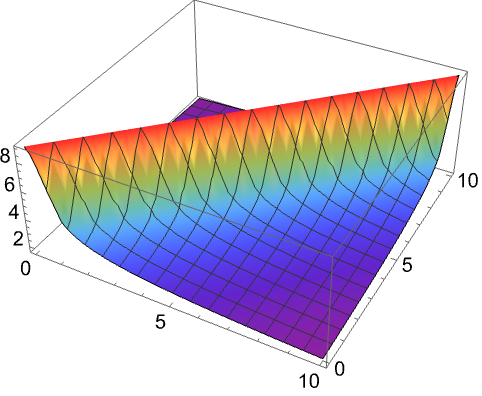 FractionalGaussianNoiseProcess can be used with such functions as RandomFunction and CovarianceFunction.